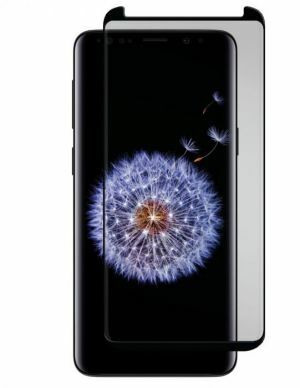 Protect your Samsung Galaxy S9+ with a Black Ice+ Cornice Edition (Insured Curved Tempered Glass). It may seem like magic, but trust us, it’s the good kind. 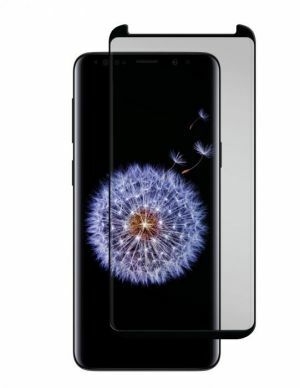 When you lay our custom formed Black Ice+ Cornice Edition over your freshly cleaned touch screen and press it into place it will bond to your phones curves, giving you the ultimate in premium glass protection. The optical grade tempered glass is incredibly strong, scratch resistant and treated to repel annoying smudges. We understand that accidents may still happen, but don’t worry, we have your back. If your phone screen breaks while being protected by your registered Black Ice + Cornice Edition just follow the simple steps enclosed to submit a warranty claim and we will send you a check to use towards the repair or replacement of your device. Black Ice + Cornice Edition is the only display guard that offers peace of mind like this, exclusively from Gadget Guard.